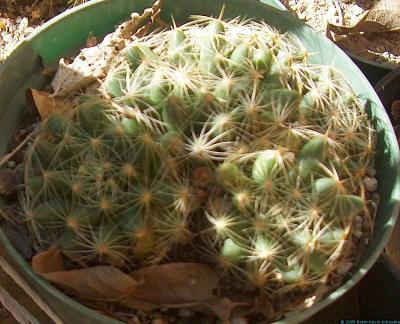 Mamillaria longimamma is a small, clumping cactus with very thick and long tap roots. It is native to southwestern Texas and can take periodic extremes of water and temperature. It likes to be dry in the winter, but it can take the occasional deluge in winter with no damage. The large, bright yellow flowers appear in spring and summer.